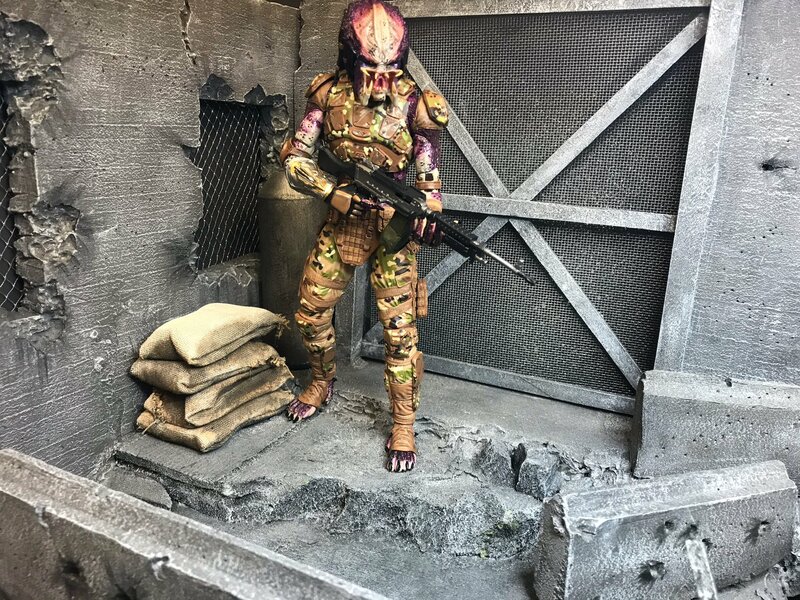 Emissary Predator Will Be At Toy Fair! Just last night NECA dropped an updated look at the Emissary Predator which they first revealed last year during the release of The Predator. Now we’re getting a better look at it before it’s shown at ToyFair. Before we only really saw a scan of what this figure will look like, so this is a much better look at the final product. If you didn’t know already the Emissary Predator’s were cut from the final film but there was a lot of behind the scenes photos of them. I personally really dig the design of the emissary Predators and it’s a shame that they were cut from the film as the Predators have been known to work with the humans in the comics from time to time. 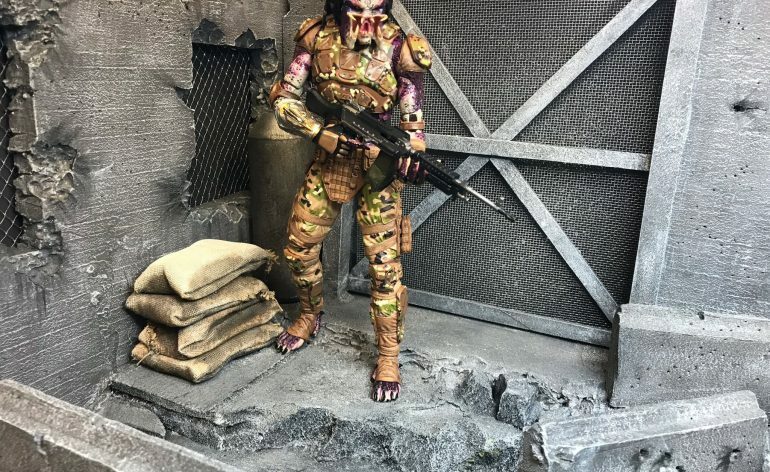 It’s unusual to see a Predator wear camo pants but it’s executed very well on the figure and I have no problem with the human armor looking pieces on him. Accessory wise he’ll come with an interchangeable masked head, rifle and by the looks of the slots in his gauntlet I’m guessing we’ll be getting some removable wrist blades as well. More details on this figure will be undoubtedly revealed at Toy Fair in two weeks, I cannot wait to see what will be revealed at the event! 2 Comments on NECA Emissary Predator Update! Those aren’t slots on the gauntlet. It’s the control piece that the kid was playing with for most of the film. Sorry I didn’t realize that until I looked closer just recently, thank you!